As part of my work in support for my employer iwantmyname.com I see a lot of customer complaints and frustrations but one of the most common is forgotten passwords. Every day we hear from someone who’s forgotten their password and needs a new one. We do have a “reset password” option on the sign in page but we still end up with support cases about forgotten passwords. And with many websites and services having different requirements for how many letters, numbers and symbols a password must have it starts to get confusing to keep track of them all. My employer insists all staff members use 1Password to keep our corporate accounts safe so for the last two years I’ve been using 1Password for password management for my personal passwords, my work related passwords and am at the point where I don’t know any password apart from my 1Password password which is actually a 4 word phrase. I have passwords as long as 24 characters with multiple symbols, numbers and letters that look like my keyboard threw up for every site and service I use. I’ve also started using longer more complicated user names whenever possible. The more secure the better. Pricing is as little as $2.99 per month for a single user or $4.99 per month for a family of 5 members. 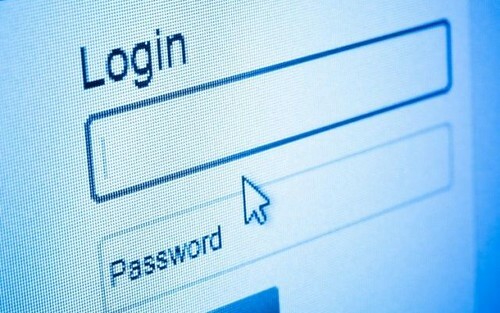 There are also business accounts to help keep your business passwords secure as well. After 2 years as a user I’m beyond happy with the service at 1Password. While my employer does pay for my account for work purposes, I have subscribed to the family account for my spouse and two kids use. Before I started using 1Password, I had used LastPass for a few years. LastPass is a similar password management tool and will also help keep your passwords and user names secure. Pricing is a little lower at $2 per month for an individual user or $4 per month for a family membership. It’s been a couple of years since I was a LastPass subscriber but I was very happy with it when I was. I’d suggest signing up for a free trial of each service and compare them side by side for a week or two before deciding on one over the other. Each service has a different interface so pick the one that seems most intuitive for you to use and stop trying to remember your passwords or using weak passwords that are easily compromised. Note: this is not a paid endorsement of either service. I’ve personally subscribed to each service at some point and was very happy with them both. Someone out there in interwebs-land, presumably also named Merlene, is using my email by mistake and it’s been going on for years. I’ve had the Gmail address Merlene at Gmail dot com since August, 2004 – that’s just over 7 years. I was fortunate enough to get an invitation to try the Gmail beta before it was publicly open so that, combined with a somewhat unusual first name, allowed me to get the simple, easy to remember email of Merlene at Gmail. It’s been my primary email ever since. Starting a couple of years ago I began getting email that was addressed to my Gmail address but was clearly not to me. Someone out there had begun using Merlene at Gmail to fill out forms or on a business card or who knows what, but I began getting email from a university in Florida’s alumnae association. From an insurance company telling me my insurance files and been updated. From former classmates of this impostor. And so on. These emails weren’t the usual spam type email. No, they were definitely directed to someone. But not me. At first I tried replying to these emails to the impostor. I explained that they’d sent to the wrong email address. That I was not the person they’d intended to send to. But still… it continues. I gave up trying to reply – after at least 2 years of this I’m still getting regular email for the impostor. I’ve attempted to contact the Google/Gmail team for some advice with no response. I’ve attempted to contact the impostor’s Alumnae association, insurance broker and real estate agent with no success. I’ve tried to do a web search to see if I can track down the impostor but no luck. I can’t set up a filter for the impostor’s email because it comes from all sorts of addresses. So… Dear Impostor… whoever you are… I have a bunch of your email here marked return to sender. Email me if you want it. You know my address. Sincerely the one, the only, the original Merlene at Gmail. From age 4 onward September has always been a time of new beginnings to me. From my first day of kindergarten through to my college years September always meant the start of a new challenge. Once I had children of my own September continued to mark fresh starts and new beginnings. More than even New Year’s Day, birthdays or anniversaries, September is a time for changes, challenges and beginnings. For the past year or two I was using Thesis theme which I customized and a logo designed by Randy Matheson. I loved the way it looked and I was happy with Thesis in general but I’ve been itching to do a redesign of MerlenePaynter.com for months. I started using Genesis themes from Studiopress back in November when I bought a Genesis Pro-Plus All Theme account but put the makeover off until now. 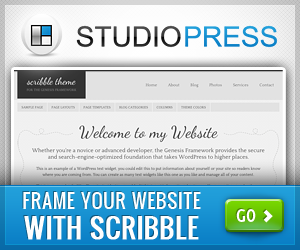 As of now (September, 2011) I’m using the new Scribble child theme for the Genesis framework without any customization. Right now, it’s suiting my needs as is. A first for me. I usually have to hack and slash some customizations into a blog theme to be happy with it but the Scribble theme just feels right, as is. Over the past year I’ve written very little for this blog. I have a list of 100+ post ideas written down but just haven’t settled into writing. Maybe it was because I’d been putting off the redesign for so long that I didn’t want to see fresh new content on the (to me at least) stale, old blog. I love the way the Scribble theme feels. Now it’s time to dust off that list of 100+ post ideas and get writing. Facebook – usually something new. No promises it’s interesting. Twitter – I’ve been there since 2007 but I really haven’t used it much for the last few years but if you really want to find it… here it is. Contact me – do you really need to contact me? or are you trying to sell me on your amazing SEO service, your WordPress developer service or any other service? Save your thumbs and don’t bother to copy and paste your “buy my stuff” sales pitch. I promise I’m not interested.